Has it been a long time since you’ve had a good-night’s sleep? 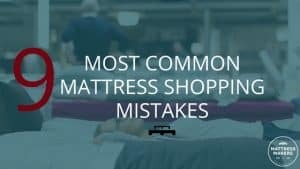 Perhaps you are longing for that soothing embrace of your bed all day long, but come bedtime, something’s amiss, and that might just be your mattress. Over the years, it’s become home to minuscule critters that you do not want anywhere near you and most likely lost its original form. Not only does this cause discomfort and lack of rest, but also directly leads to numerous health issues. 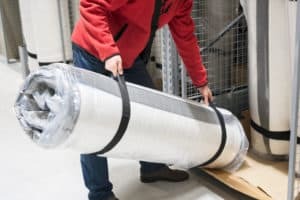 Although popular mattress choices include spring coil mattresses and memory foam mattresses, what would definitely eliminate all these problems is a natural response mattress. With its modern innovations and all-natural materials, natural latex is your best bet for optimum rest. But if you think that there is hope for your old mattress after all and a simple makeover is all it needs, then maybe you’re considering purchasing a topper as an addition that would make it more comfortable. For your convenience, we’ve compared the two options to help you make a sage decision. So now you’re thinking how much money you’ve stashed under your mattress and if you can actually afford a new one. If you think purchasing a brand new mattress would put too much strain on your budget, maybe you could consider settling for a topper, at least for the time being. But, if you think you owe it to yourself to invest in a new one, then by all means go for a natural response mattress. Although more expensive, they’re well-worth it, and despite the fact that toppers come at a lower cost, they are, after all, just a temporary fix which won’t eliminate the core problems. In this respect, the topper is definitely a losing battle. As mentioned before, it will make your old mattress somewhat more comfortable, but it cannot work wonders. After a while, your back will go back to suffering from lack of proper support. What’s more, although the latest toppers have seen more luxurious improvements, being made of hypoallergenic and natural materials, these come at a heftier price. The natural response latex mattress, however, provide excellent support for you back, allowing you thorough rest. This applies to hot sleepers as well, since its combination of natural materials efficiently regulates temperature. Another amazing innovation of the natural hybrid mattress is the individually wrapped coil feature. These coils reduce motion transfer, so you can continue enjoying your sweet slumber even if your partner needs to get out of bed in the middle of the night. This mattress is available in three varieties – soft, medium and firm, depending on your personal preferences. Not only are natural response latex mattresses all-natural and eco-friendly, you can also rest easy and forget, (literally),about allergies. 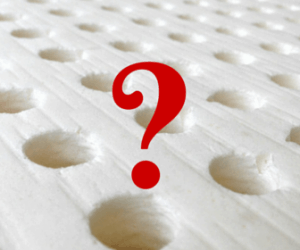 Depending on its quality, investing in a mattress topper could delay your investment in a new mattress for a few years. But if you want to know you’re spending your money wisely and investing in your health and comfort, a natural response mattress is the way to go. With its 20 years of warranty, you’re likely to enjoy decades of comfort before the thought of replacing it crosses your mind. Having a hard time deciding? 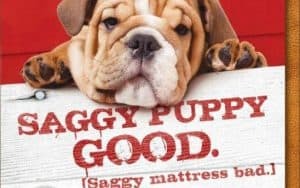 Reach out to Mattress Makers for help! At Mattress Makers, we have over a decade of experience in providing a varied selection of the highest-quality natural response and latex hybrid mattresses. The mattresses in our diverse selection are organic, chemical-free and are sure to provide plenty of restorative sleep in years to come. Check out our in-store collection and consult our helpful staff about the best choice of a mattress for you!